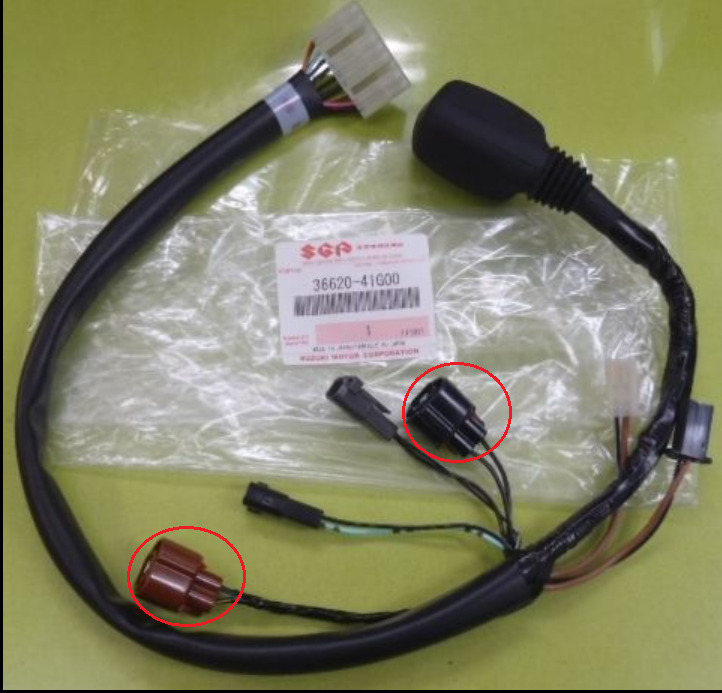 Does anyone know where to source these headlight / speedo loom connector plugs as pictured. Thanks. Last edited by Afro; 04-12-2019 at 11:07 AM. They are standard connectors. Walk into an independent vehicle parts retailer with the harness in-hand and you'll be out in 5 minutes. Ordering online will save you no money. Do you know what they are called in terms of the type of connector because I'm not finding anything. I usually look on Kojaycat but not finding what I need. I've never heard of Kojaycat... seems like an okay site. I'm not sure about the black one... is it a black version of the Sumitomo? That's kinda why I suggested going in person... it takes out the guesswork. Thanks MacBane this is awesome. There are literally zero hardware stores that I could bring the loom down to for a fitment that are near me here in the UK. Yes theres the MT090-2L and MT090-2R and I believe those are connectors used for the headlights main and high beam bulbs. I think the L and R refer to which side of the connector a locating cut out is situated. Last edited by Afro; 04-13-2019 at 12:19 PM. See here. I'm fairly sure that the low beam is Sumitomo 6189-0249.
and the high beam is Sumitomo 6189-0264. They are the same connector except for the position of the polarizing key on the bottom. They are part of the TS sealed series and distinguished by having a white contact retainer that comes forward from the contact recesses and "steps" along the sides, presumably to make it easier to grasp. I have an old Sumitomo catalog that lists the 6189-0264 but I can't find it on their website. Instead I see 6189-0765 that looks just like it but the drawing has slightly different dimensions. Both are listed as mating with 6188-0624 so the -0765 appears to be an update. I think that the brown connector in your post above is 6189-0033. 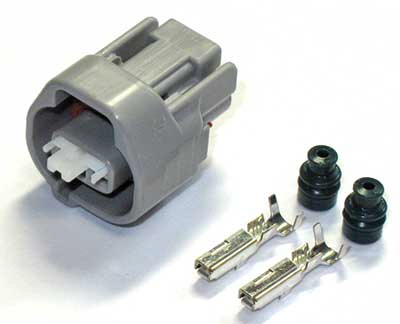 It's part of the MT sealed series (they're available but Sumitomo is trying to phase out the MT connectors). It's external dimensions are slightly different and the release tab at the top is split. Note that it doesn't have the white retainer or the steps. Similarly the blue connector is 6189-0031. The listed mating connector for 6189-0031 is 6180-2405 while there's no mate listed for 6189-0033. 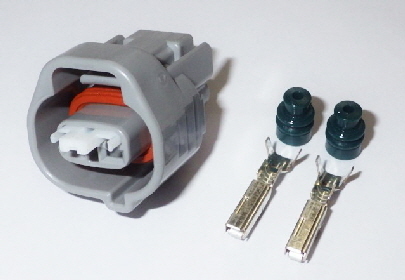 So it seems that Sumitomo considers them to not be interchangeable with the above TS connectors. I don't see the steps in the Corsa Technic pics but they might be obscured by the angle of the shot. Eastern Beaver and possibly Ballenger also have them. There's also a Sumitomo 1300-5044 with the same dimensional drawing as 6189-0765. But it's not on the Sumitomo website and I don't know much about it. BillV, you and Tim Radley are legends of this site for reliable GSXR information. I knew I could count on you. Thanks for this.